Save 10% with a 10 Day Package for just $250. Doggy Day Care is a great way to give your beloved pup the socialization, mental stimulation, and exercise they deserve! Ever come home from a long day of work to find a chewed up carpet, couch, or what used to be your favorite pair of shoes? This is because dogs get bored and anxious staying at home all day while we are away at work! Boredom and anxiety promote destructive tendencies in our furry friends. For some pet owners, this has happened too many times and they are forced to leave their dogs cooped up in their kennels all day! This prevents dogs from getting the exercise and play they need, and let’s face it, makes us feel guilty as owners too! Dropping off your best friend for a fun-filled day of Doggy Day Care is a great solution to all of these common problems! 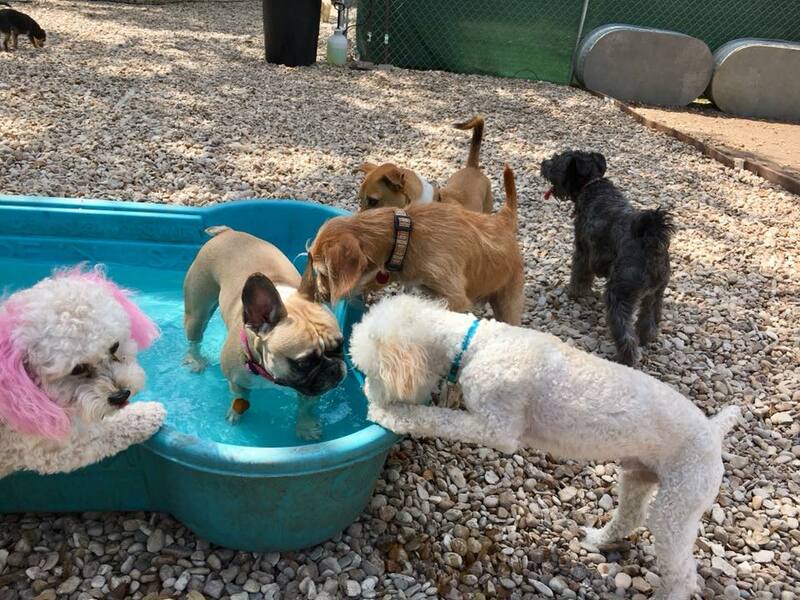 At Pups & Pals Pet Lounge, your pet will get to play with other dogs in specified play groups! They will run and romp around in our large backyard play area and play mentally stimulating games with other pups. They will also take “cool down” breaks in their private lounges to work on calming, relaxation and control. Dogs who attend regular Doggy Day Care a few times a week will come home relaxed and happy after receiving exercise, socialization with other dogs, and mental stimulation! Destructive tendencies at home will be reduced or eliminated! Bring them to Pups & Pals Pet Lounge and let them come play! Before becoming a camper at Pups & Pals Pet Lounge, we like to get to know your pup for a day to make sure they’re a good fit! We’ll schedule a Play Day Evaluation for their first day of Day Care where they will receive extra special attention and monitoring. 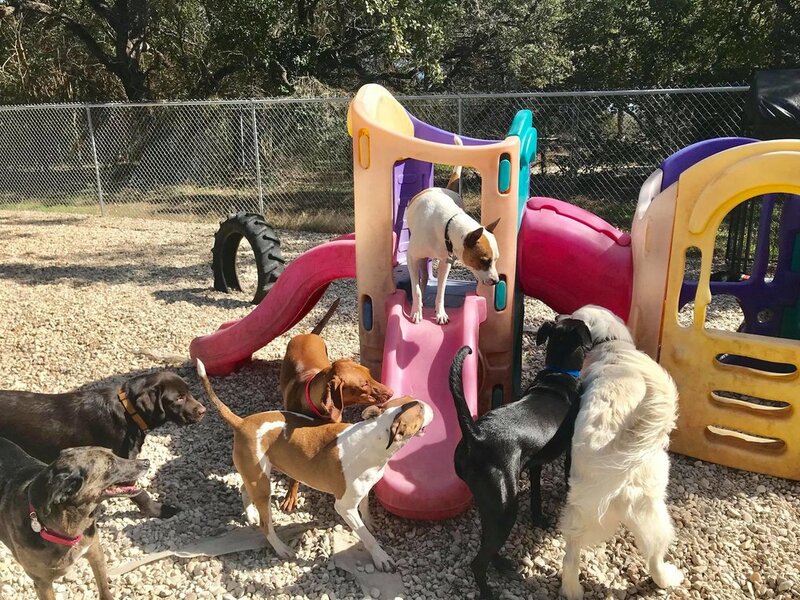 We will observe their play style and introduce them to other dogs in small groups or one-on-one as to not overwhelm your pup and let them ease into the atmosphere at Doggy Day Care! Our trained staff will closely observe your dog throughout the day to determine the best play group for them to join! Mid-way through their first day we will send you an email with pictures of your best friend playing with new friends and a report card to let you know how they are doing! As long as things go nice and smooth on their first day, they’re welcome back any time for dog daycare and lodging! The Play Day Evaluation is a full day of day care. Owners are not permitted to stay for the Play Day Evaluation. You'll drop of your pup in the morning like a normal day of doggy day care.